The auspicious Navaratris or Navaratras (or literally Nine nights) come twice a year and fall at the times when the seasons change. A lot of people fast during seven or some of these nine days and avoid food made of grains, pulses, onions, garlic and of course eggs and meat! 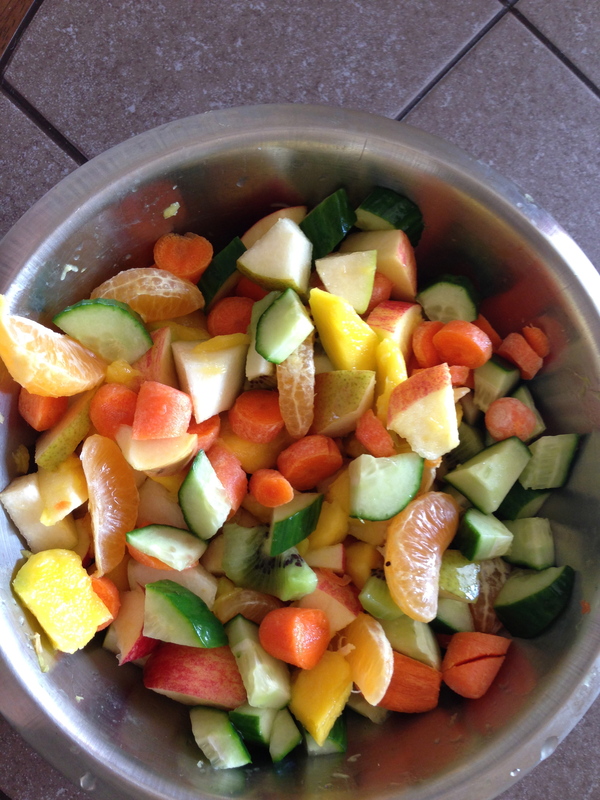 Whether you fast during Navaratris or not, it’s always a great idea to detox or just eat healthier food! Traditional fasting recipes for Navaratris in North India use flours made of Singhara (Water Caltrop), Kuttu (Buckwheat) and Semak ke chawal (a native Jungle Rice) besides the popular Sabudana (Tapioca pearls); but a lot of times these ingredients are used to make fried foodstuffs. While these items might be gluten-free, frying them to make tikkis doesn’t really help you cut out the calories! As an expat, finding these very exotic items at a local grocery store is also quite a task. So we’re here to suggest some Navaratri recipes for a healthier festival. The ingredients used should be easily available so that you can include some or all recipes in your intermittent fasting ritual! After all, we all know at the end of it we will all go back to devouring delicious plates of Halwa and Chane with Pooris on Ashtami and Navami! So here they are, some traditional and some unique Navratri recipes! Meet Fox Nuts or Makhane as they are known in India. These are actually Lotus seeds. Not only are these great as a healthy crunchy snack, they are absolutely delicious in a kheer! People who are fasting often look forward to a sweet dish in their simple meal. 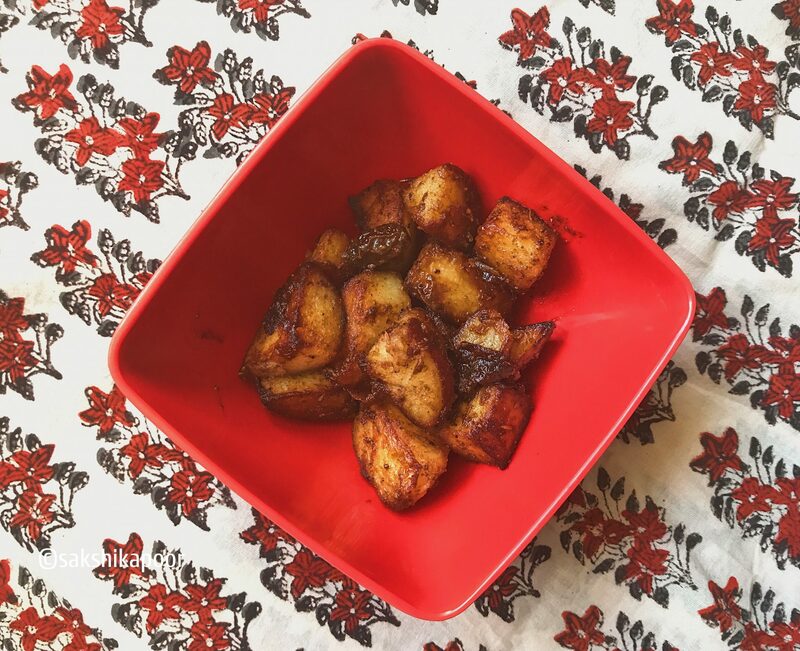 So here it is, a guilt-free light recipe that’s perfect to keep your cravings in check! Find the recipe here. Who doesn’t like Chaat? But Chaat also means indulgence in spicy and fried foods. It’s okay, there’s hope! 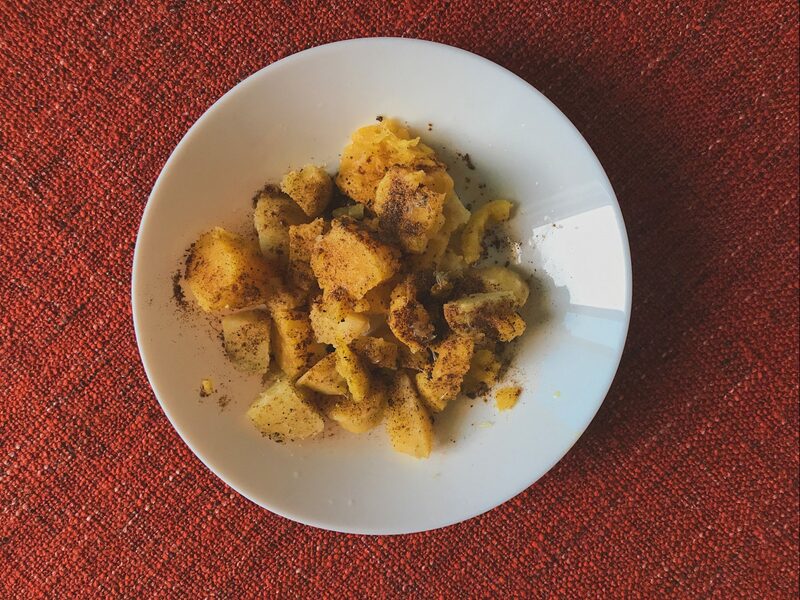 Use boiled or baked potatoes instead of fried ones and go easy on the masala! Find what all goes into the chaat here. This recipe is a game changer! 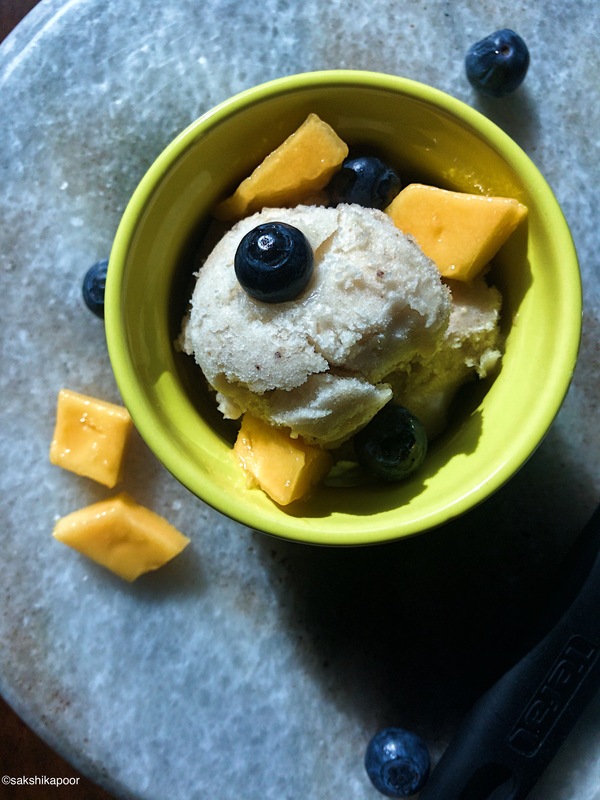 You know that ice cream and detox in the same sentence doesn’t seem right. But this one does! We’ve gone completely bananas over it! Read the recipe here and you’ll know why! Introducing healthy bacteria to your gut is always a good idea. How about doing it with some homemade Mishti Doi! 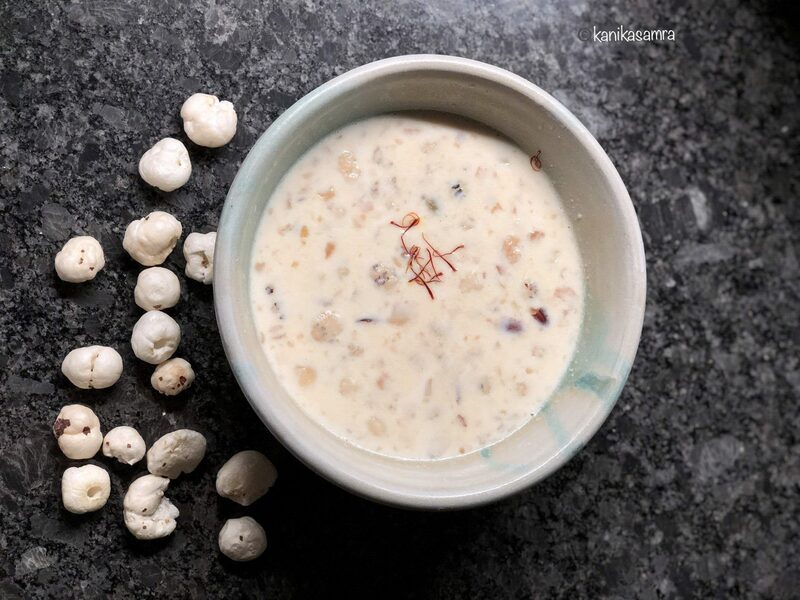 A speciality from East India, this sweet yogurt dish is as rustic as it gets! Make your own rather “set” your own pot of yogurt at home! What can be healthier than that? This one is straight out of the streets of a bazar in North India. Enjoy this super healthy and light chaat that keeps you full for longer and is rich in vitamin A.
Mango+ Coconut+Yogurt = A healthy tropical Paradise! 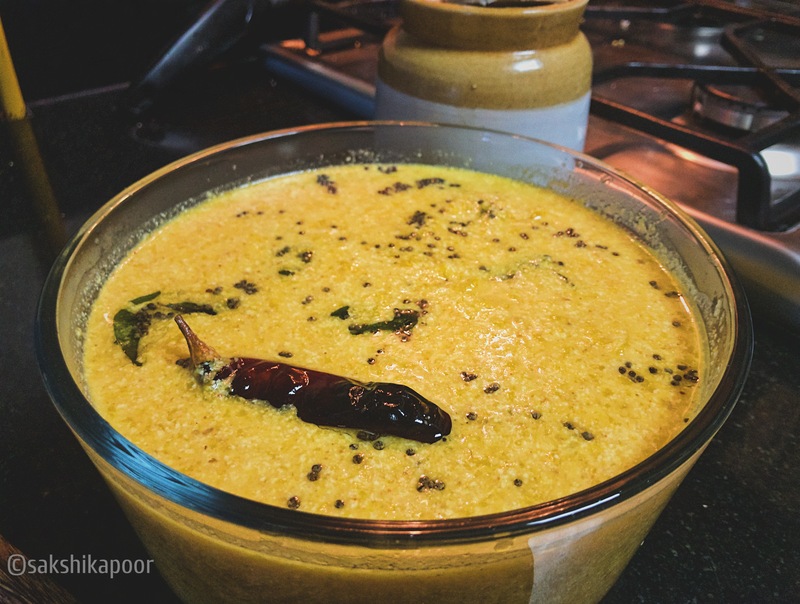 This fruity preparation from Kerala is great with some Semak ke Chawal! And what’s great is that you won’t really crave for something sweet afterwards! Yaay, we say! We cannot stop obsessing over these! It is so simple to have a healthy filling breakfast with a smoothie or smoothie bowl! It’s fruity, it’s light and it can even be dairy free if you like! Just skip the oats if you are avoiding grains and top with healthy nuts and fruits of your choice! Easy Peasy! 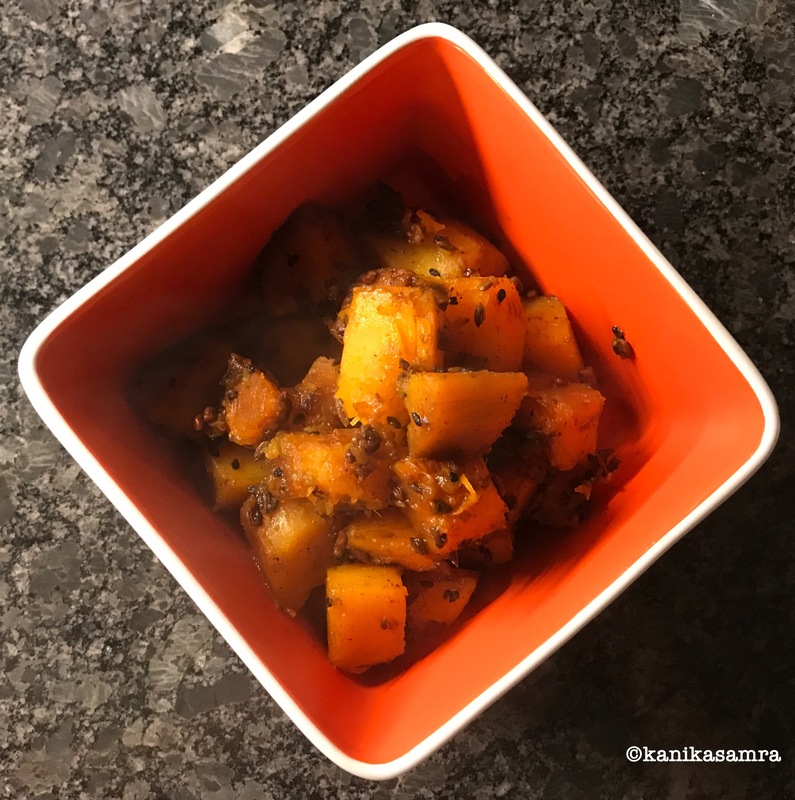 Butternut Squash/Kaddu/ Seeta-phal is a really healthy vegetable to have if you are watching your calorie intake. It’s full of potassium and is really light to digest. Have it with some Kuttu roti and a side of yogurt! Compotes are a great way of preserving fruits and also for sating your sweet tooth without feeling guilty! 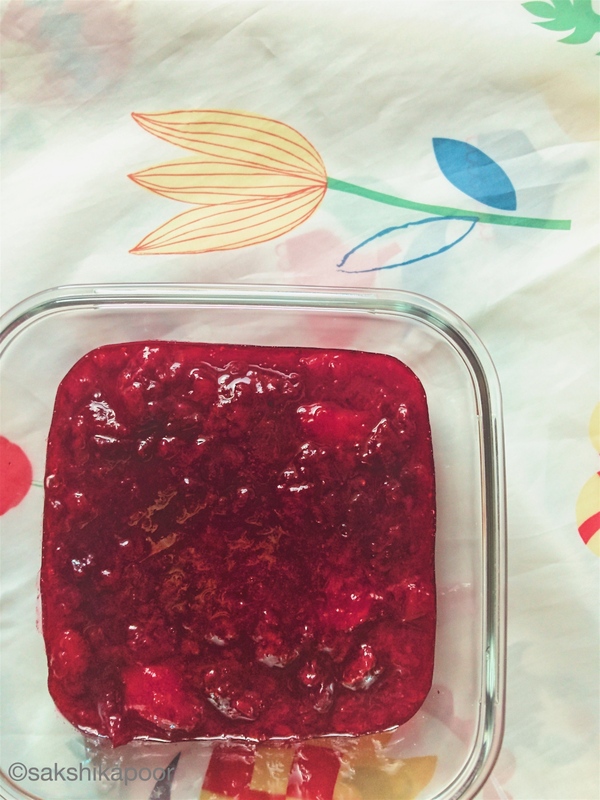 Take advantage of the natural sugars in overripe fruits and make your compote sugar-free! Add them to yogurt or just as a side for your Kuttu roti or Semak ke chawal. Go make a batch right now! Ginger is great for aiding digestion. 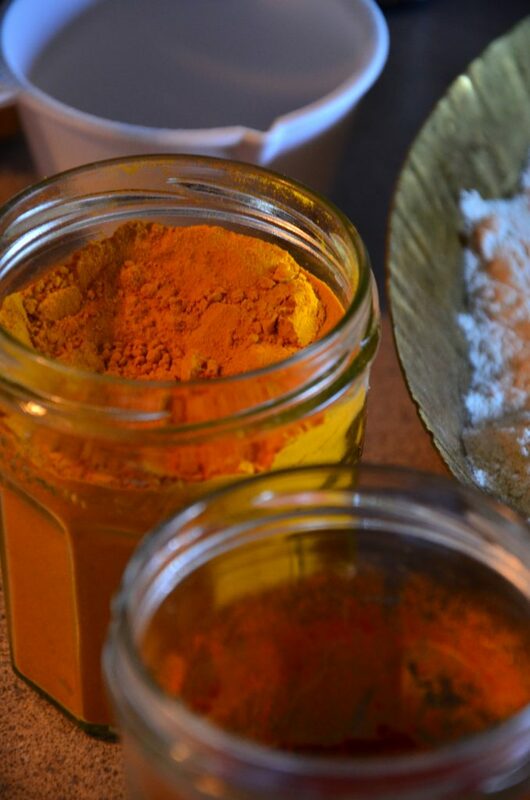 And what better time to include ginger rich foods than when you’re trying to detox! 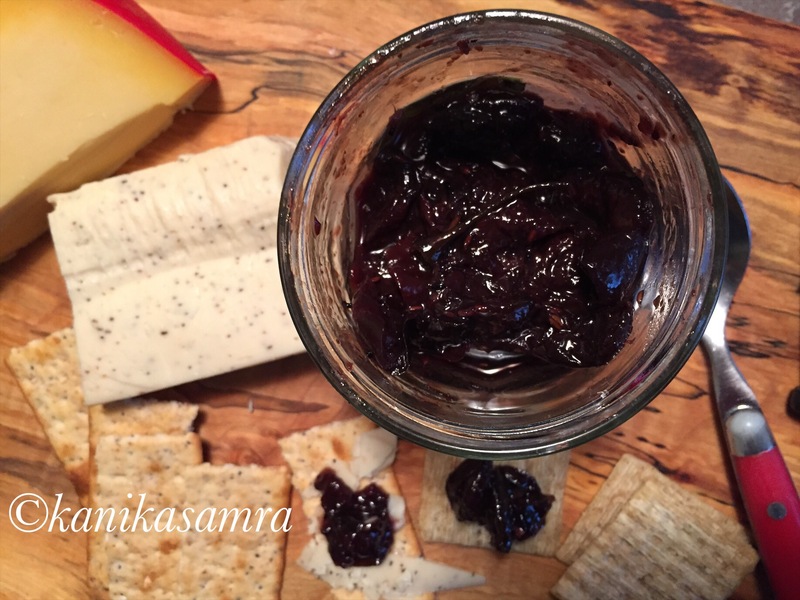 We love to have it in this awesome Cherry chutney! This is one of the easiest thing that you could do for yourself. Wash, cut, peel and dice some fruit! Season with rock salt and lime juice and Voila! What are you waiting for? Do we need a reason to have the king of fruits? Yes! I declare them to be the king of fruits! Nothing comes close! Did you know Mangoes have more vitamin C than Oranges? Not just that, Mangoes are great for digestion if you eat them in moderation. We love them in this cool minty drink. 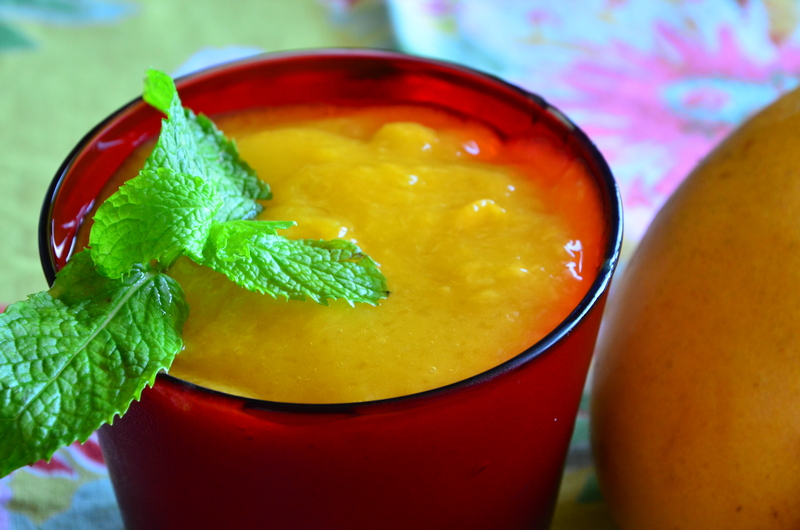 Who knew mint and mango would be a great combination? Arvi or Taro root or Arbee as the Punjabis call it, is rich in fibre and carbs and is great for keeping you full for longer. We like it the old-fashioned Punjabi way where we boil it, peel it and then cook it in carom seeds and basic spices followed by a generous sprinkle of Kasoori methi (dried fenugreek leaves). Go easy on the oil though! The carom seeds make everything easy to digest and the methi gives it a great flavour. Plums are rich in vitamins and minerals and really low in calories. 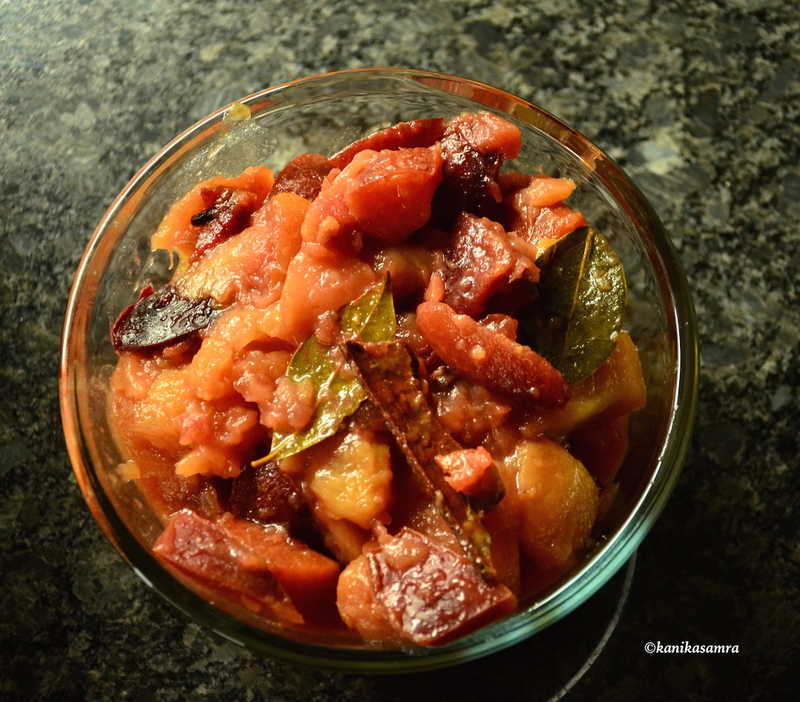 Make a batch of this chutney and put a dollop over a bowl of plain yogurt for a healthy treat. 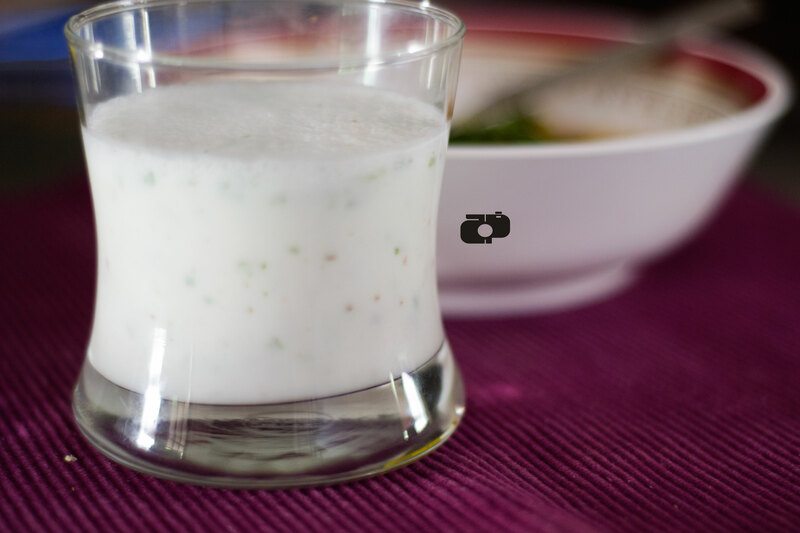 Buttermilk or Chaas is a great way to wash down a meal in the summers. It has natural cooling properties and of course is great for your digestive system. No wonder it is popular all over the world. It’s called Ayran in Turkey, Laban in the Middle east, Mathha or Chaas in India, Doogh in Iran; I could go on! Find the recipe here. So this is the list! This is not a diet plan. This is just a list of suggestions for eating healthy foodstuffs that are easily available to most Indians. Please take your existing health conditions in consideration before jumping into any crash diets and fasting methods to lose weight. Eat healthy food, exercise regularly, be kind, smile, spread the love!